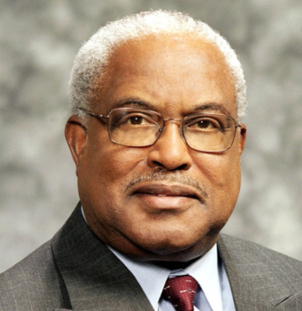 Judge Joseph W. Hatchett served on the Court of Appeals for the Eleventh Circuit from 1981 to 1999, including as Chief Judge from 1996 -1999, on the U.S. Court of Appeals for the Fifth Circuit from 1979 to 1981, and on the Supreme Court of Florida from 1975 to 1979. His areas of specialty include ADR, appeals and corporate advisory services. Judge Joseph Hatchett has received many awards for public service and has published several articles on federal courts. A graduate of Florida A & M University (B.A. 1954) and Howard University School of Law (L.L.B. 1959), Mr. Hatchett is also a retired Military Judge in the U.S. Marine Corps Reserve. He is a member of the bar of the State of Florida. U.S. v. Dallas County Commission, 850 F.2d 1430 (11th Cir. 1988) (Civil rights, voting).